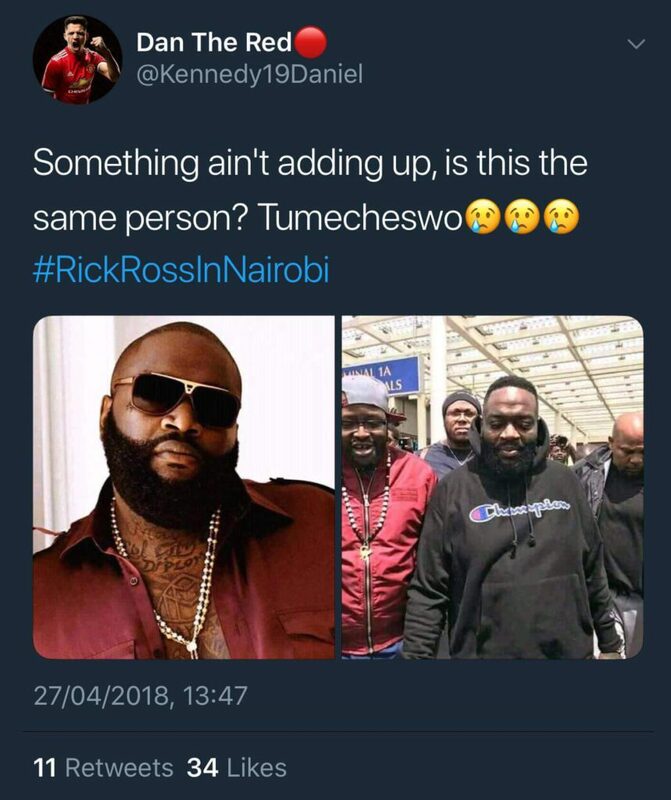 Kenyans were Friday left in shock after American Hip Hop Star Rick Ross touched base at the Kenyan soil, leaving many debating as to whether the person they welcomed was Rick Ross or rather a random homeless American. 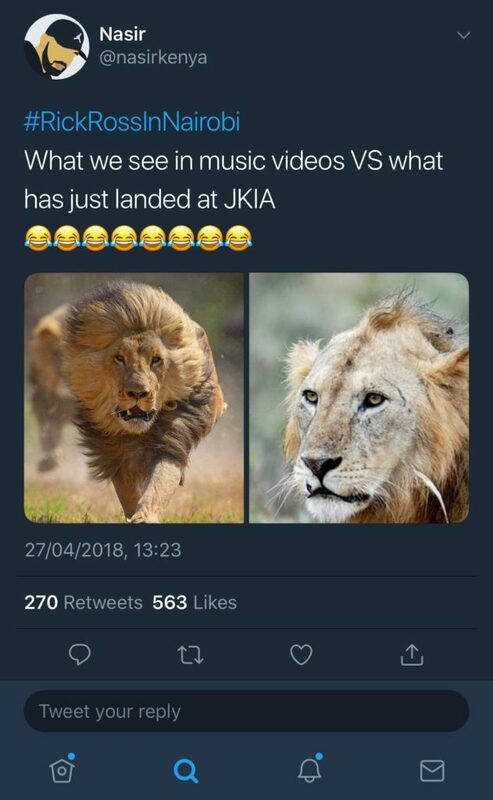 The star who is known to live a luxurious lifestyle shocked fans with the his sloppy looks that many didn’t expect, but as they say, pictures are sometimes deceptive or rather exaggerated. 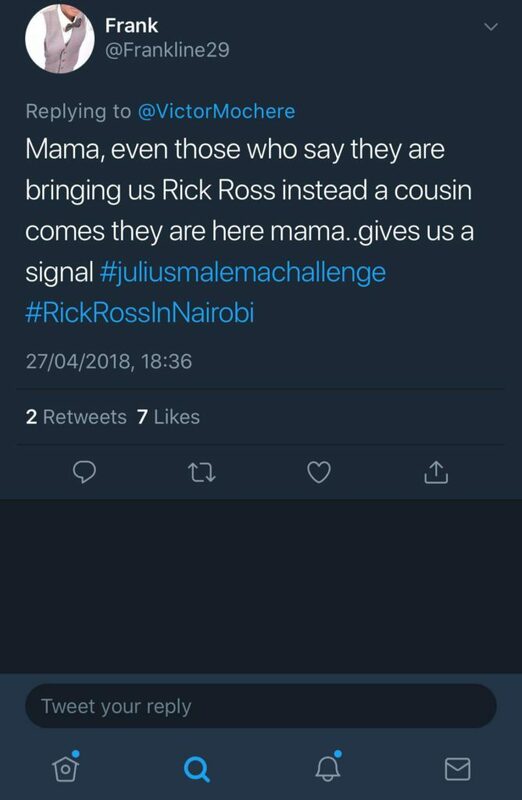 Rick Ross, 42, will perform for the first time in.Kenya and East Africa at large. 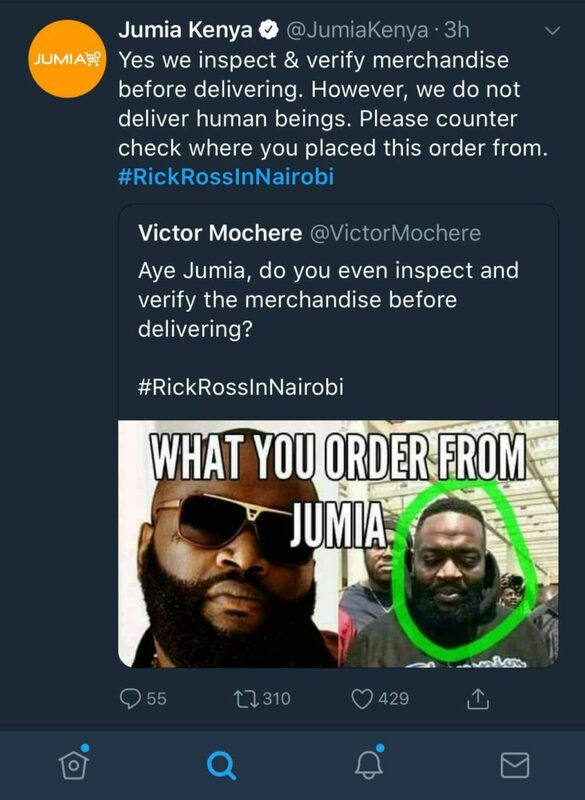 Kenyans were left angry after Ross allegedly made an exorbitant list of demands for him to be able to perform in Kenya. 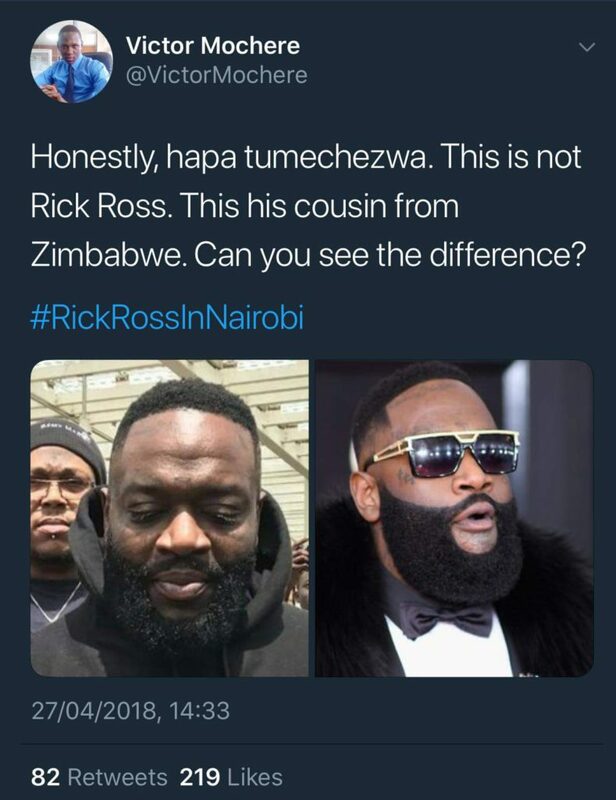 However, some fans gave the hip hop star a pass for his looks because he has recently been battling a medical condition that had him hospitalized for four days after suffering a heart attack at his home in Davie, Florida.